Stress Relieving & Uplifting, An all time favorite, Tulsi Ginger combines the healing properties of Tulsi, with the added boost of Ginger. 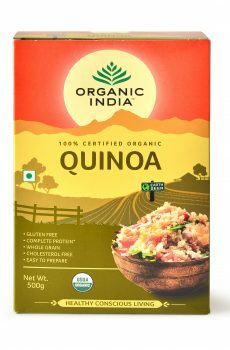 One can take once or twice after meals. 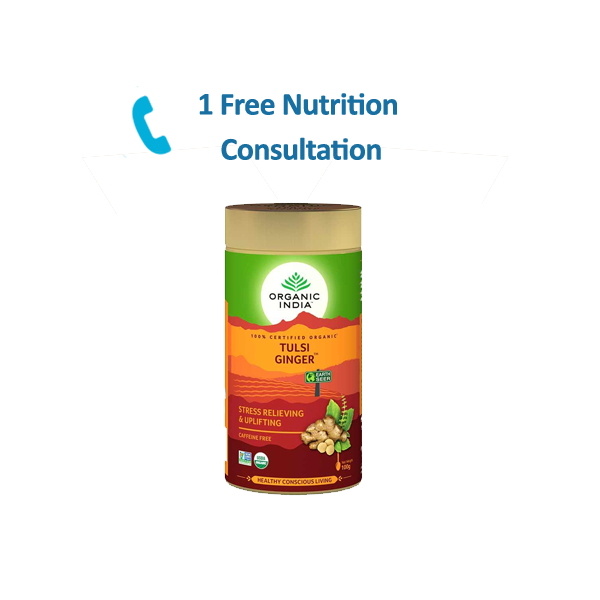 For personalised dosage as per Prakriti, download the Vedique Diet App. 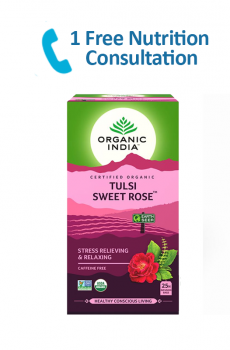 Tulsi Sweet Rose Tea is 100% pure and natural and exotic blend of Tulsi leveas and rose petals. 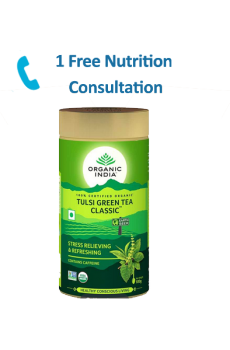 Combining Tulsi with Premium Green Tea deeply enhances each other’s remarkable health benefits including a potent abundance of phytonutrients and antioxidants, which protect the body from free radicals. 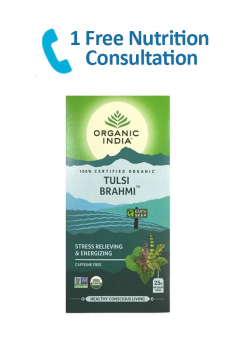 Herbal Tea Tulsi Brahmi enriched with the goodness of Brahmi and Tulsi to boost memory and intelligence level.